The Janome TB-30 sewing machine was ahead of its time. 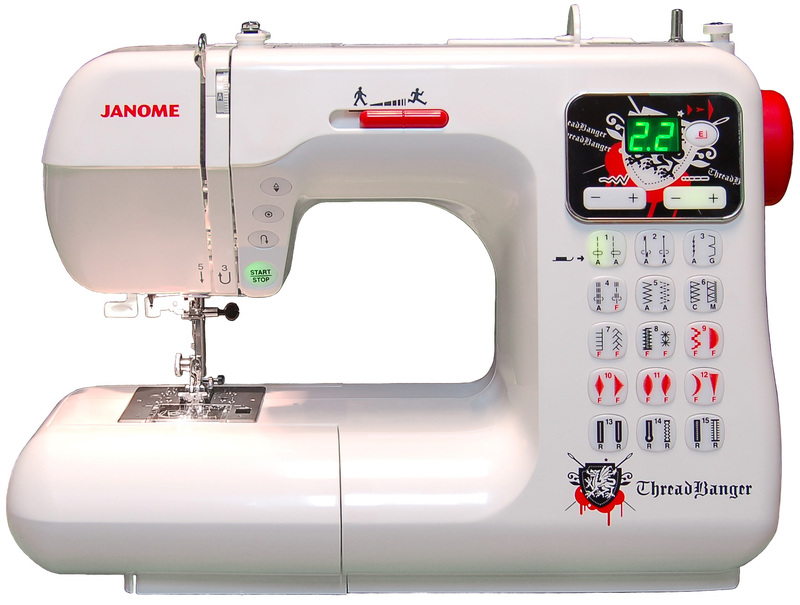 The Janome Sewing Machine Co.’s 2008 model TB-30 was ahead of its time. Its 30 actual stitches, six one-step buttonholes, built-in one-hand needle threader, and laundry list of other features weren’t what set this affordable prosumer tool for the budding fashionista apart from its contemporaries. It was its more superficial accessories. The Janome TB-30 was perhaps the first physical consumer product endorsed, branded, marketed, and promoted by an online video entity. Way back in August 2008, the still independent Next New Networks (which is now the Google-owned YouTube Next Lab) and its “Not Yo Mama’s DIY Channel” Threadbanger (which is still cranking out videos at its home on YouTube) partnered with one of the leading manufacturers of sewing machines worldwide to put their literal stamp of approval on a product and help sell it to their hip, online video savvy, and presumably younger-ish audience. Yes, early-and-mid-to-late 2000s online video powerhouses like Happy Tree Friends and Homestar Runner sold their own branded plush toys, action figures, apparel, pencils, and other such items for the kids those days, but never before the Threadbanger and Janome deal had a person, place, or thing made popular by way of online video collaborated with a manufacturer or a retailer in this capacity to make and release a licensed product. It was a novelty back in 2008. It’s more common now in 2014. AwesomenessTV is hoping in the very near future to make it the norm. The YouTube multi-channel-network that’s now a multi-hyphenate with an MCN, management company, record label, and book imprint all under its umbrella recently launched a Consumer Products and Creator Licensing Division with Jim Fielding at the helm. The new division will work closely with creators within and outside of the AwesomenessTV network to create, explore, and assess the growing number of retail opportunities afforded to online video talent in command of actionable audiences. Read the full story on Tubefilter.